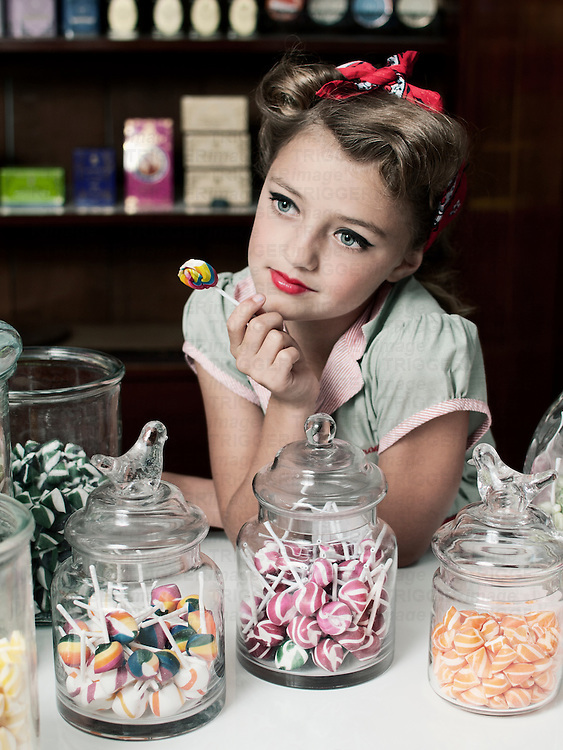 Young girl, thinking while eating a lollipop, leaning on a table with glass jars filled with candy. She is wearing red lipstick and a pretty red bow. Looking vintage, 1950's.